Avoid the stress of organising flights and luggage! With return flights and 23kg of checked luggage planned for you when you travel with My Vanuatu the only thing you will need to worry about is enjoying the experience. Planning a holiday can be expensive especially when children are involved. 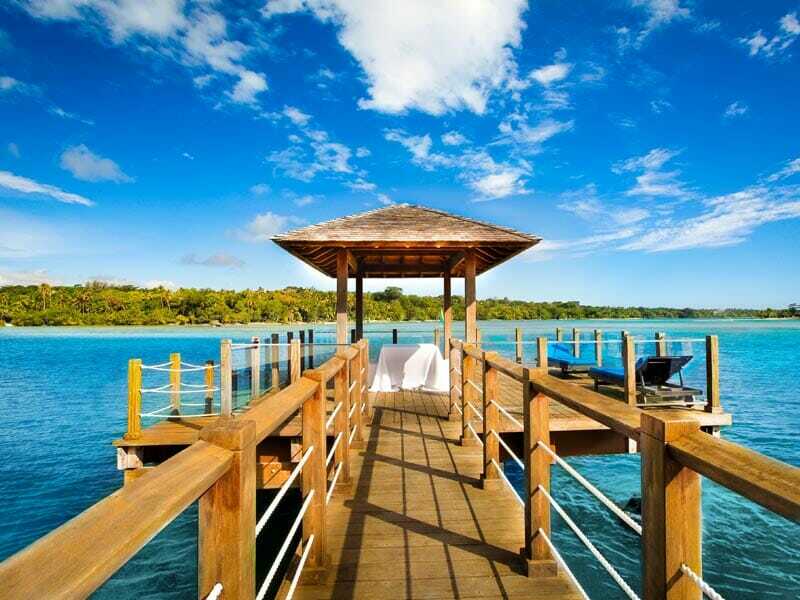 When selecting this exclusive My Vanuatu package taking the whole family with you will hardly cost you any extra! Up to 2 children 12 years or younger will stay for free when sharing a room with parents and utilising existing bedding, children 3-12 years of age will have access to the complimentary Kids Club and Children 12 years and younger will eat for free. Wine, dine and relax to your hearts content! When you check in, the credit is applied to your room account which can be used towards food and beverages at any of the resorts restaurants and bars or pamper yourself at the spa. See some of the most incredible sunsets in the world with a complimentary sunset cruise each evening! Don’t forget to pack your camera as there are plenty of photo opportunities you won’t want to miss. 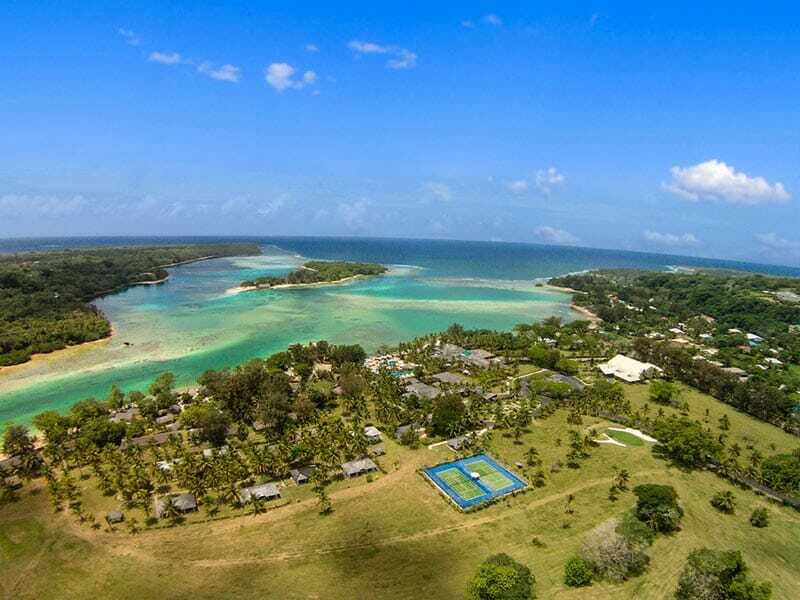 Tee up for free when staying at Warwick Le Lagon Vanuatu! Enjoy complimentary golf club hire and green fees across your holiday. Feeling like having a romantic night out without the kids? That is possible with 3 hours of babysitting on one occasion while staying at Warwick Le Lagon Vanuatu! 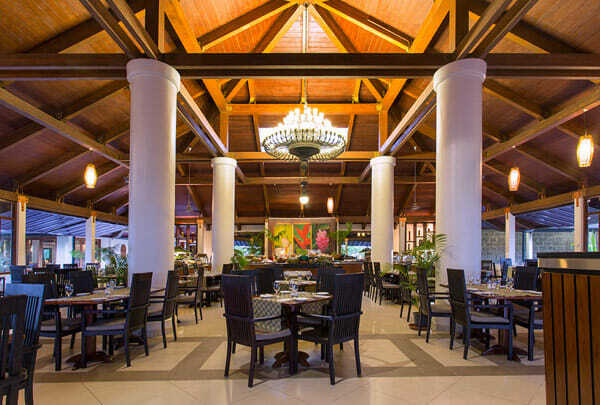 You will never be bored during your stay at Warwick Le Lagon Vanuatu with complimentary use of resort activities including cultural activities, classes and tours and access to the resort gym! 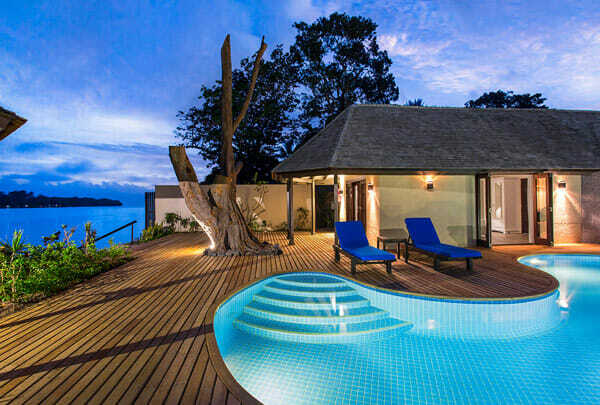 Take in views of the resorts tropical gardens from the furnished balcony of a Garden View Room. These spacious, air conditioned rooms feature modern amenities such as HD TV, working desk, safe, coffee/tea making facilities, movies, refrigerator and more! This room is 33sq. metres & sleeps up to 2 adults + 2 children or 3 adults. Air conditioned for your comfort, you’ll find a range of luxury features in the Lagoon View Room. Enjoy a working desk, safe, HD TV, tea/coffee making facilities, refrigerator, alarm clock and panoramic views of Erakor Lagoon from the private balcony. This room is 33-44sq. metres & sleeps up to 2 adults + 2 children or 3 adults. Garden Bungalow – UPGRADE from only $200 per person! 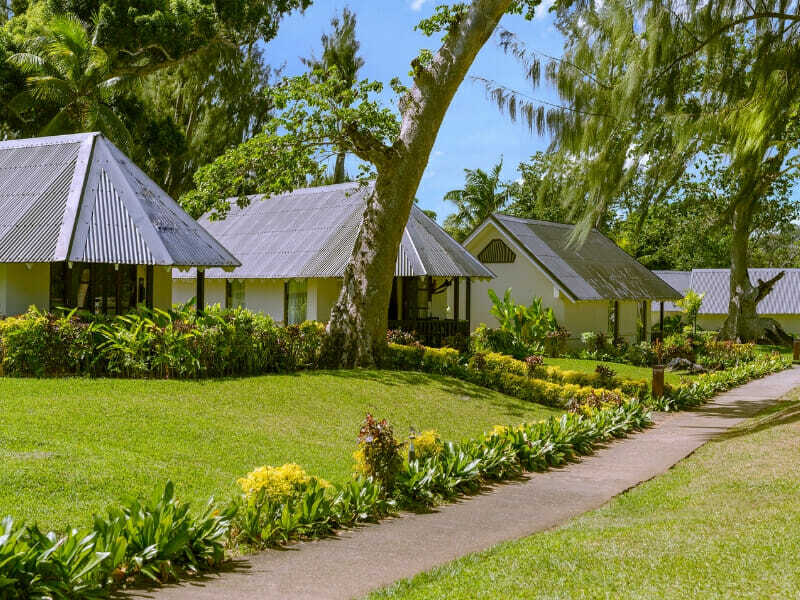 Nestled amongst perfectly manicured garden the Garden Bungalows are complete with furnished balcony, air conditioning, TV, movies, refrigerator and much more! This room is 44sq. metres & sleeps up to 2 adults + 2 child or 3 adults. 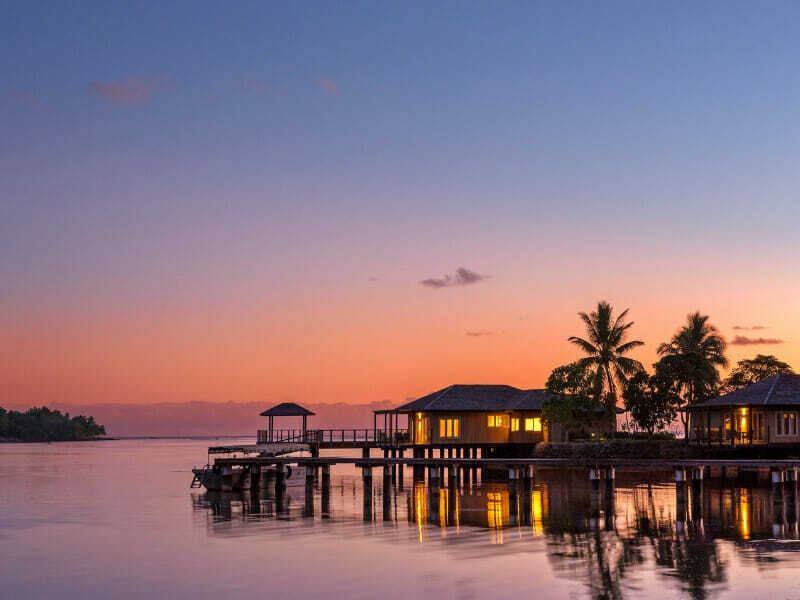 Situated on the shores of Erakor Lagoon the Lagoon Bungalows feature a working desk, safe, HD TV, tea/coffee making facilities, refrigerator, alarm clock and panoramic views of the lagoon from the private balcony. This room is 44sq. metres & sleeps up to 2 adults + 2 children or 3 adults. 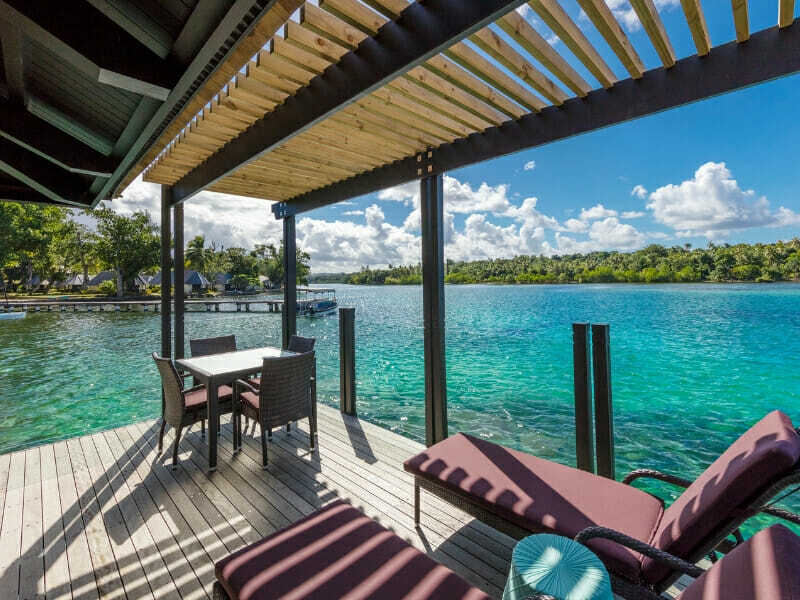 The internationally recognised and trusted brand Warwick is famous for its elegance, comfort and friendly service, and Warwick Le Lagon Vanuatu is no exception. 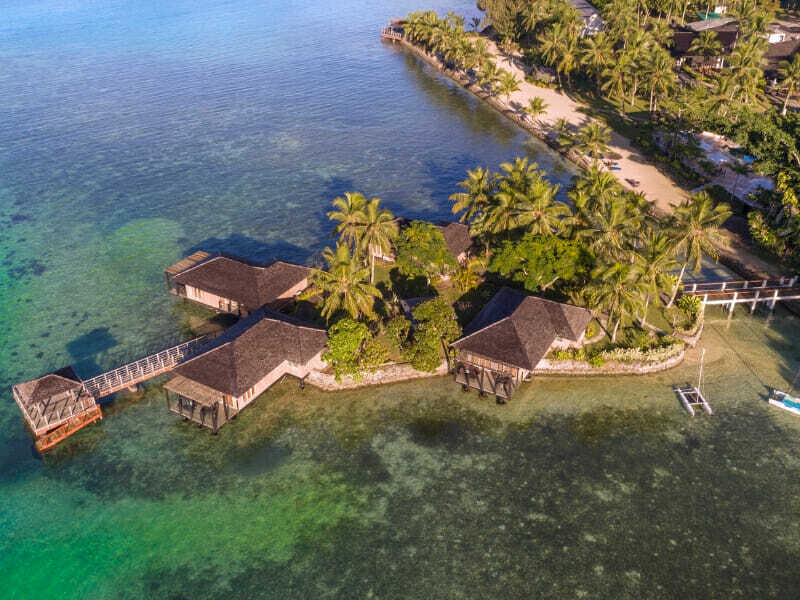 Experience true Vanuatuan hospitality when you stay amongst the tropical gardens on the shore of Erakor Lagoon at Warwick Le Lagon. 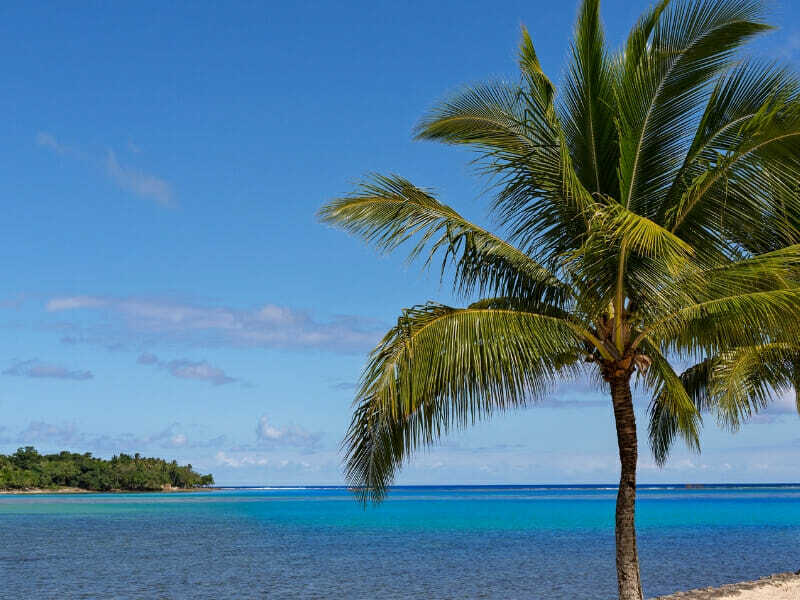 Read more about Warwick Le Lagon Vanuatu here! ^Airfares are non-refundable at all times. Applicable charges apply to changes. Flights are based on and subject to promotional economy class airfares. Flights may not be direct or operate daily. Air surcharges apply during Australian school holidays. 30kg checked luggage allowance applies to AirVanuatu flights only – any other airline quoted may differ. #Kids Stay, Play & Eat FREE: Children Stay Free: Children 12 years and under, traveling with parents and sharing the same room stay Free of Charge when using existing bedding. Maximum 2 kids free of charge on existing bedding per room. Wild Ginger (Restaurant) – Surcharges apply for meals at Wild Ginger when dining with their parent/s. The surcharge applicable is VT 2,000 per child 12 years and under. Kids Play Free: The Kids Club is complimentary for children aged between 3 to 12 years and is supervised for day and evening sessions, day from 8:00am to 4:30pm and evening from 5:30pm to 9:00pm; Children under 3 years of age are welcome to visit the Kids Club however it is a requirement for them to be accompanied by their parent or a nanny. During the evening sessions nannies are required to accompany children under the age of 5 years. 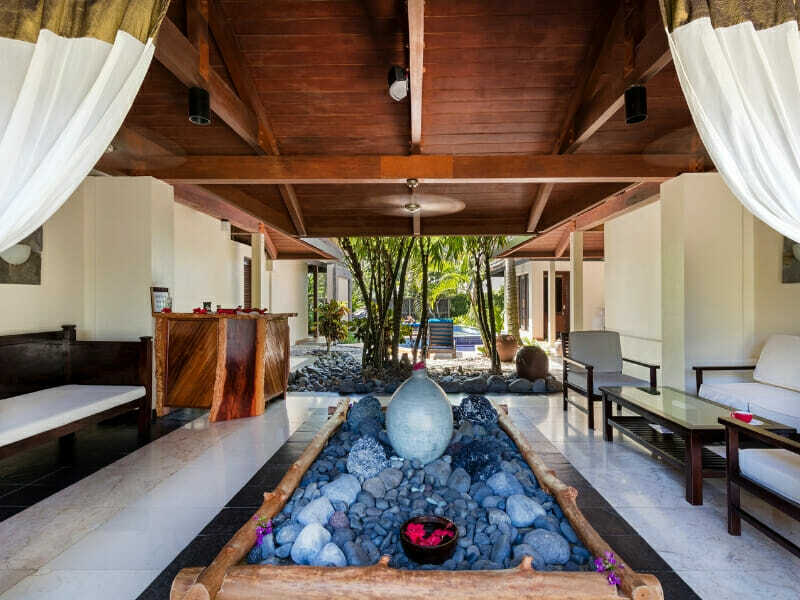 *$500 Wine, Dine & Spa Credit: Exclusive My Vanuatu Wine, Dine & Spa Credit per room per booking to use for food, beverage and spa treatments (cannot be applied towards external third party service providers, eg. Tours). Whilst advertised in AUD, the amount provided to the guest on check-in will be credited to the guests account in local currency. No Voucher is necessary for your Credit. This itinerary serves as your confirmation/documentation due to your Credit being held directly with the Resort. Expires upon check-out, not redeemable for cash.